Do you have a friend who instantly creates a feeling of warmth and comfort in the environment? Someone who is not only refreshingly down-to-earth, but attentive to the needs of others? ESFJs are often these kinds of warm, generous friends that make the world a kinder and happier place. ESFJs combine compassion, dedication, and loyalty to embody some of the strongest leaders in communities around the world. They are driven to make a practical, hands-on difference in their churches, businesses, neighborhoods, and/or community groups. ESFJs lead with Extraverted Feeling, a function that gives them an instantaneous understanding of how other people feel. They are masters of picking up on body language, tone of voice, and moods to grasp when there is sadness, conflict, happiness, or confusion in the environment. They then use their realistic knowledge and empathy to restore the atmosphere to a harmonious mood. Some famous ESFJs include Gerald Ford, Colin Powell, Anne Hathaway, and Alicia Keys. Not sure what your personality type is? Take the most accurate free online personality indicator here. If you meet an ESFJ, what you’ll see most readily is their dominant function; Extraverted Feeling. Extraverted Feeling gives them their unique ability to absorb and sense the moods of people around them. ESFJs know how to expertly create harmony in the environment, and they know how to reach out to everyone to make sure they feel included and involved in group interactions. They feel very responsible of other people’s emotions, and try their best to shield others from negativity or sadness. Because ESFJs combine Extraverted Feeling with Introverted Sensing (Si), they have a practical kindness. They don’t just say nice things to people, they do nice things. They like to help people and help their communities. They want to contribute to the welfare of the people around them and are usually good at lending a hand and seeing practical needs that need to be met. ESFJs enjoy bringing people together and they are often excellent hosts. They instinctively can guess which people feel left out, which ones feel included, which ones would make good friends, and which ones need a little encouragement. They strive to be generous, thoughtful, caring, and honest. Because Extraverted Feeling is a judging function, ESFJs desire to have closure in their decisions and an organized plan for their life. They feel uncomfortable if things are left open-ended for long, and they dislike having to make spontaneous changes in plans. An ESFJ is likely to have a calendar with all their meetings and engagements listed in it. ESFJs like to know what to expect and how to be prepared for it. They like to make sure that their decisions will promote harmony for everyone involved, and they try to take everyone’s feelings into consideration. ESFJs are very conscientious and down-to-earth. They’re not ones to put on airs or act better than others. They like to connect with the people around them and find common goals and interests. They usually have very good manners and can pick up on social cues easily. They are also detail-oriented individuals, who pay attention to what people like and dislike. They’re the friends who remember birthdays, anniversaries, foods you do or don’t like. They hold onto these details so they can be better, more generous friends. Unhealthy or imbalanced ESFJs can worry too much about pleasing everyone and can do so to an unhealthy degree. They may be prone to excessive insecurity and a need to be validated by people in their outer environment. This is more common in ESFJs who have been raised in unstable, abusive, and/or tumultous environments and have had to seek outer confirmation of their worth to keep going. For these ESFJs, it’s important to have stable, loyal relationships and honest friends who can show them through actions and simple, provable affirmations that they care. It’s important to note that just because ESFJs are dominant feeling types, this in no way makes them irrational. Some types, particularly thinking types, can assume that if a type values feeling, they inherently don’t value logic. ESFJs have a practical knowledge and awareness of cause and effect in relationships. They are usually reasonable and level-headed individuals who are not only kind, but sensible. Typologist and psychologist David Keirsey said of ESFJs that they have “logistical” intelligence. They know how to organize and work with people to create harmony, to ensure that nobody feels left out, to create a warm atmosphere. ESFJs tend to excel in health care, education, and service-oriented fields where they can combine their compassion for people and their common-sense knowledge and attention to detail. ESFJs care so deeply about the people in their lives that they can ignore their own needs in an effort to take care of all the needs they see around them. Because ESFJs dominant function is extroverted, it is mainly concerned with taking care of the needs in the outer environment. Inner struggles and turmoil may be cast aside in pursuit of creating outer harmony. ESFJs can also feel like failures if outer harmony is lacking. Because their “job” or master function is to promote harmony, if they are in atmospheres of conflict and unrest they naturally tend to feel like they are failing at a job they are tailor-made for. ESFJs may continually blame themselves for trouble in the environment, and can take criticism and negativity deeply to heart. It is important for them to take time for themselves, to understand that other people have to be responsible for their own emotions, and that if there is conflict or unhappy moods it is not their fault and they don’t always have to fix it. This is difficult for them, because it means ignoring that dominant need to create harmony, but it is essential. It’s also important for ESFJs to have a positive support network. ESFJs soak up positivity and good moods just as easily as they do negativity and bad moods. 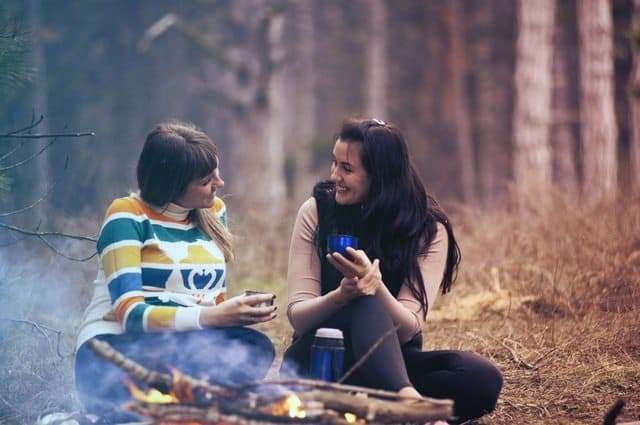 It’s especially important for them to have uplifting, encouraging friends or family members that they can rely on for their own emotional well-being. – They are extremely loyal. – They are organized and planful. – They are responsible and keep their word. – They are practical and down-to-earth. – They tend to be sociable and friendly. – They are goal-oriented and productive. – They are kind and empathetic. – They enjoy helping other people. Nardi went on to say that ESFJs are more left-brained. They show high activity in the brain regions that recall facts, follow steps, and use imagination to copy others’ behaviors. They also show activity in regions that help them make linear deductions. These facts were taken from the MBTI® Manual – Third Edition. – In a national sample, ESFJs were the highest in coping with stress by “Talking to someone close” and “Relying on religious beliefs”. – In a national sample, ESFJs ranked second highest in believing in higher spiritual power. – ESFJs are the most frequent type among education majors. – ESFJs prefer the academic subjects of math and music. – According to a national study, the most important feature of an ideal job involved service to others. – ESFJs show occupational trends in education, health care, and religion. Feel free to ask me in the comments or connect with me on my Facebook page! Are ENFJs and ESFJs “Fake”? Want to know more about ESFJs? Check out these amazing books! Want to discover more about personality type? Get the inside scoop with Susan Storm on all things typological, along with special subscriber freebies, and discounts on new eBooks and courses! Join Typology Tuesday today! Susan Storm is a certified MBTI® practitioner and lover of all things psychology-related. She is the mom of five beautiful children and loves using her knowledge of personality type to understand them and others better! Follow her on Facebook, Twitter, or Pinterest to learn more about type!